Marinol (also known as dronabinol) is legal pharmaceutical alternative to smoking natural marijuana. Marinol is designated chemically and is produced as a round gelatin capsule, which contains the active ingredient – synthetic delta-9-tetrahydrocannabinol (delta-9-THC). 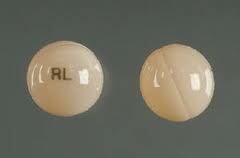 Marinol capsules are taken orally and there are multiple dosages available: 2.5mg, 5mg and 10mg. When Marinol May Be Prescribed? Marinol has been found to be beneficial for treating some symptoms and ailments similar to those treated with the use of natural cannabis, or medical marijuana. It has proven helpful to cancer patients suffering from nausea and vomiting caused by chemotherapy. Dronabinol is also prescribed for HIV/AIDS patients, to assist them with their loss of appetite. Take Marinol only as directed by your doctor. Your dose is based on your body size and medical condition. Usually patients begin their treatment on a low dose of Marinol and their doctor gradually increases the dose. Do not increase dose or take it more frequently than directed. Always consult with your doctor first and do not let anyone else take your medication. Stop taking Dronabinol when so directed by your physician. This greatly increases chances of not getting addicted to Marinol product, which was proved to be a habit forming pharmaceutical product. Before prescribing Marinol, doctor needs to know of all allergies his patient has, most importantly allergy to marijuana. This pharmaceutical product contains sesame oil and can cause severe allergic reactions. Contact your doctor immediately if you had seizures or your heart is beating very fast. Marinol is the only synthetic cannabinoid product that is approved by FDA, while natural cannabis is still classified as Section I drug and is illegal by federal government. Because of that, a lot of research work that has been made in last decade is restricted. There are pros and cons to both Marinol (dronabinol) and natural cannabis, but that still doesn’t bring us to a conclusion point that Marinol is more effective than smoked cannabis or vice versa. Before you consider smoking medical marijuana, make sure it is legal in your state. Studies have shown that smoked cannabis interacts with human body and reliefs symptoms quicker than Marinol. Comparing to Marinol, marijuana is much easier and cheaper to grow and distribute. Patients found it easier to control their dosing with smoked cannabis. Marijuana contains more than 400 chemicals that have not been researched well enough and their effect on human body during smoking process is still unknown. May not be appropriate for patients with lung cancer. Legal and sold in pharmacies in all 50 states, unlike it’s alternative – marijuana. Marinol is taken orally and therefore eliminates risk of exposing patient to chemicals found in cannabis. Marinol is more expensive to produce. 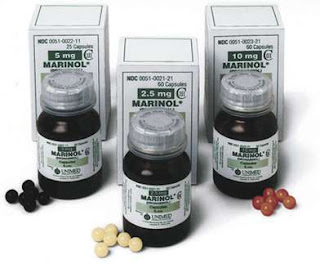 Marinol’s cost is around $650 for 30 doses @ 10 mg. Patients have less control over Marinol’s dosing. Several doctors claimed Dronabinol capsules to be “erratic” and “unpredictable”. Lacks several cannabis compounds that are known for its therapeutic benefits.